We’ve heard of the chalkboard paints and how fun and easy they are to use to create a useful space within your home – but what’s all the buzz about chalk paint and what’s the difference? While chalkboard paint gives us the traditional school-age, black, chalkboard look, feel, and usability, chalk paint comes in a large variety of colors made for painting furniture, floors, and walls to give a matte, velvety finish. Uniquely Exquisite Tintable Chalk Paint. With this brand exclusively available at the Exeter Paint stores you can come in and choose from a wide range of colors for your next outdoor or interior project. 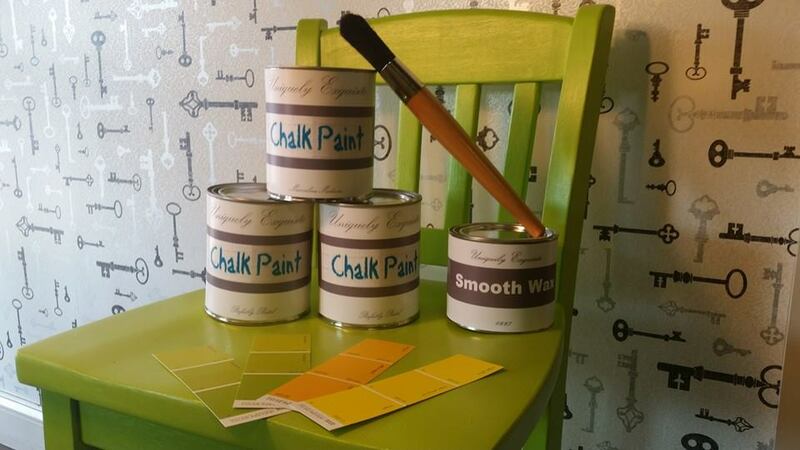 Chalk paint can be used on almost any surface from wood to metal to plastics. Use Chalk Paint in a fun DIY project to revamp an old piece of furniture . . . or your car! Jason Barrat shared his amazing paint job using Chalk Paint with Exeter Paint + Exeter Paint West on Facebook! 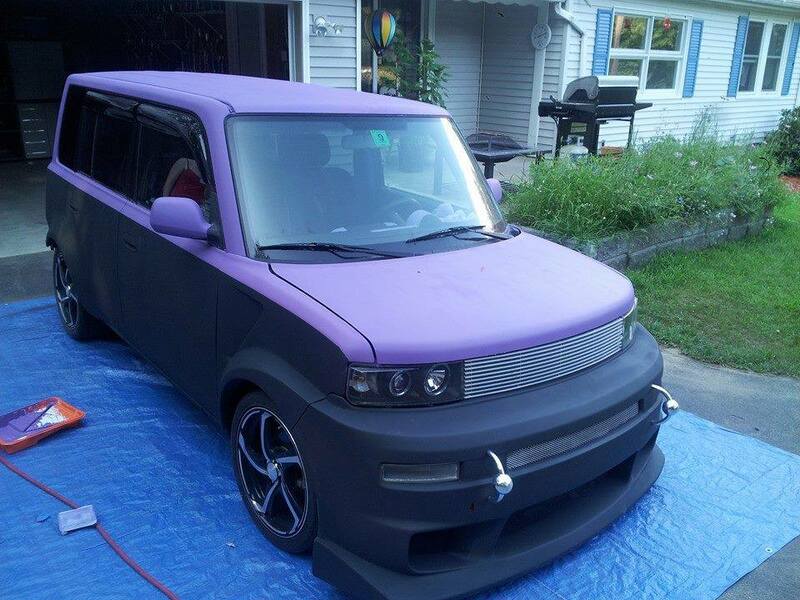 He chose purple and black tinted chalk paints and revamped his wife’s car. You can recreate his beautiful, velvety, matte finish with Uniquely Exquisite Tintable Chalk Paint from Exeter Paint! We can mix any range of colors for you at either of our store locations. Would you be bold enough to paint your car with chalk paint? What about old kitchen cabinets or a dresser? Tell us your Chalk Paint stories in the comments below!